MK3 implement new technologies that are very interesting comparing with what I have on my MK1 clone. The most noteable is the new print plates and the new controller board that uses the TCM2130, a Ramp with SPI allowing current (torque) sensing. This allows the printer to sence end stops. Multy Material Upgrade with 5 different, or 4 different and dissolvable support material is also very nice. 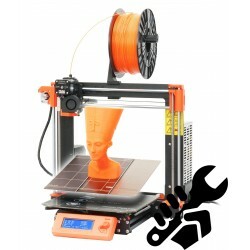 The most important changes compared to my old printer is however the Marlin firmware and Slice3 slicer upgrades available in open source. 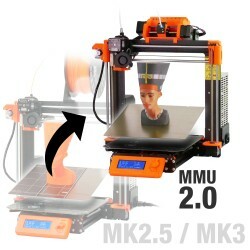 That said, I must admit I consider saving up for the MK3 with a MMU. Videos demonstrating this is very convincing.